Every year, small Scottish businesses are faced with rising fuel bills, but Zero Waste Scotland is here to cool them down. Together with the Zero Waste Scotland, the Scottish Government has announced a new ‘cashback’ scheme to achieve cost and carbon savings for SMEs across Scotland. With free support from Resource Efficient Scotland, a programme of Zero Waste Scotland, small businesses have saved an average of £8,000 on their energy bills each year, an average of 24%, by improving their energy efficiency. Backed by Scottish Government funding, eligible small and medium sized businesses (SMEs) can apply for an unsecured, interest-free loan of up to £100,000 and receive 15% cashback on the value, while funds last. “The Scottish Government is committed to supporting businesses across Scotland to improve their energy and resource efficiency as we seek also to improve the energy efficiency of Scotland’s non-domestic premises. “The SME loan 15% cashback incentive will give Scottish businesses the opportunity to reap the benefits of reduced energy costs through investment in energy efficient measures, helping to increase competitiveness and drive growth while also reducing their carbon footprint. “I’m delighted to welcome an initiative that both supports business performance and aligns itself to our Programme for Government and Energy Strategy commitments to improve the sustainability of Scotland’s overall energy use." Applicants will receive a free independent assessment before they submit their loan application with dedicated advisors on hand to guide them through every step of the process. “Small Scottish businesses in every sector could really benefit from simple, easy-to-install energy efficient measures. By making your energy equipment work for your business, the associated costs could significantly decrease. We also know that future-proofing businesses is key to minimising the stark implications of climate change. From manufacturing to retail, accommodation to the arts, the loan is open to all sectors. “Our old boilers were over 30 years old which caused major problems for the club when they kept breaking down in the typically harsh Scottish winter. We were losing money and club members as parts of the building became unusable, so we urgently needed to upgrade our equipment. Economising on gas and electricity is a priority for the club so we formed an energy group to tackle the problem and decided to apply for SME loans from Resource Efficient Scotland. “The installation of the new boilers, which is the second phase of our energy saving programme, is estimated to save almost £1000 a year on gas bills which could make a huge difference for us. The cashback offer and loan also made it easier for us to install the boilers and added insulation sooner. The North Merchiston Club is part of the Green Network for Businesses which provides them with the opportunity to share their experiences and learnings with other organisations interested in making energy efficiency improvements. Zero Waste Scotland leads on delivery of the £73million Resource Efficient Circular Economy Accelerator Programme, which aims to improve the economic performance of SMEs while at the same time reducing the impact of economic activity on the natural environment, supporting Scottish Government and EU policies. The SME Loan is funded by the Scottish Government and administered by the Energy Saving Trust. It provides unsecured and interest free loans of up to £100,000 for small to medium sized enterprises (SMEs) based in Scotland to help them invest in a measure which will result in associated cost and carbon savings (from energy, water or waste savings) for their organisation, improving their long term competitiveness and sustainability. 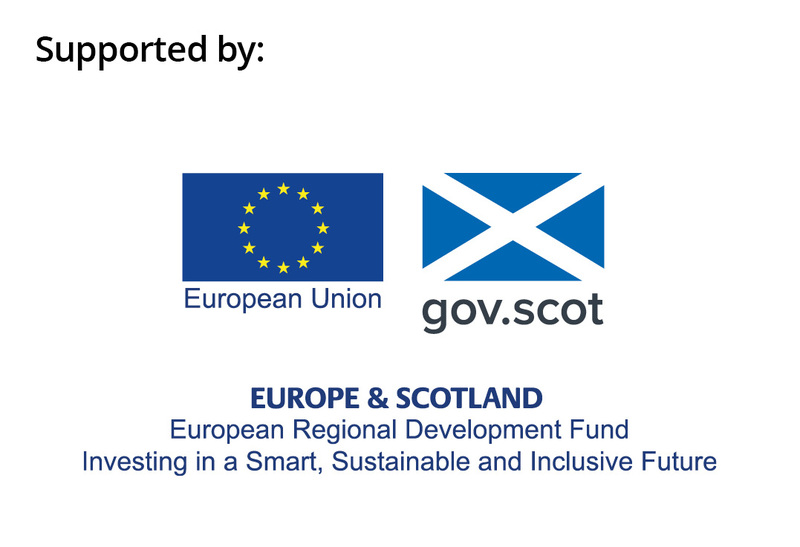 Applications are via Resource Efficient Scotland which is delivered by Zero Waste Scotland and supported by the European Regional Development Fund. Eligible applicants must receive a Resource Efficient Scotland audit to help identify efficiency improvements with the greatest benefit to the bottom line. Since April 2013 more than 400 individual loans have been awarded under the SME Loan, to the value of £11.2million.